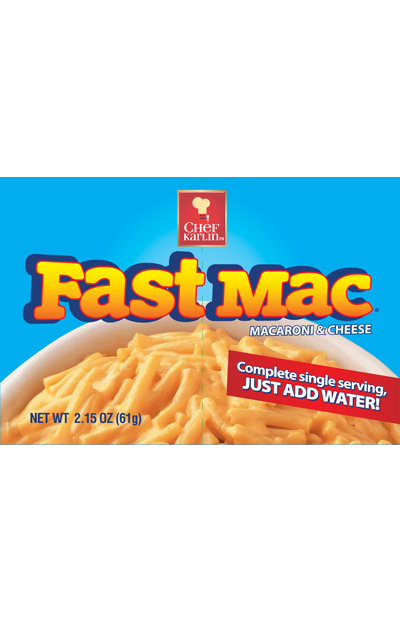 Ingredients: Enriched Macaroni (Wheat Flour, Salt, Glyceryl Monostearate, Niacin, Iron [Ferrous Sulfate], Thiamine Mononitrate, Riboflavin, Folic Acid), Whey (from milk), Maltodextrin (from corn), Partially Hydrogenated Soybean Oil, Cheddar Cheese (Pasteurized Milk, Cheese Cultures, Salt, Enzymes), Modified Corn Starch, Corn Syrup Solids, Salt, Buttermilk, Natural Flavors, Sodium Phosphate, Sodium Caseinate (from milk), Autolyzed Yeast Extract, Citric Acid, Dipotassium Phosphate, Monoglycerides, Titanium Dioxide (color), Yellow 5 Lake, Yellow 5, Yellow 6 and Gum Arabic. Empty macaroni side of pouch into a 2-cup microwave-safe bowl. Add 2/3-cup water. Microwave, uncovered, on HIGH 3½ to 4 minutes until macaroni is tender. Remove from microwave (do not drain). CAUTION: bowl may be hot. Stir in cheese sauce and mix well. Sauce will thicken upon standing.